The Nigidesh is perhaps the biggest mystery that, quite literally, surrounds Avia. A gigantic storm that covers the seas around the continent, isolating it from the rest of the world. Every expedition that has attempted to cross it has either turned back before venturing too far or never come back at all. 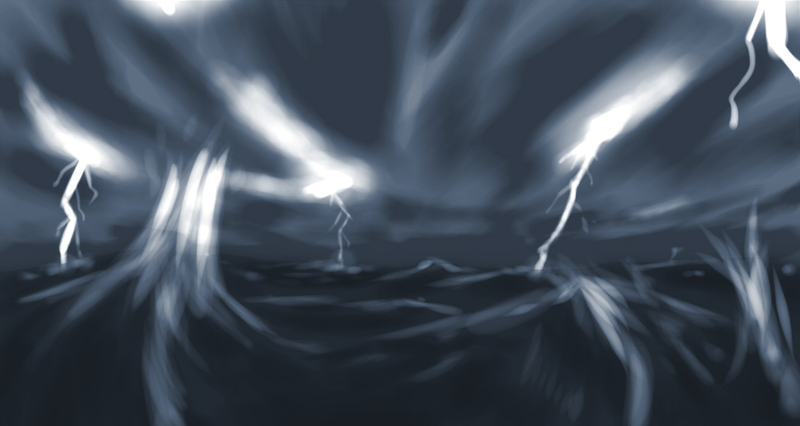 It is violent and restless, unlike any kind of storm that occurs on land. Only this much is known for a fact. How it first happened and how far it extends, however, is not known with precision. Most historical documents assert that the Nigidesh wasn’t always there. That the storm that now enshrouds the entire world, sparing Avia for some reason, was once the clear blue sky that hovered over the old content: the place we avin originally came from. This was all in the ancient age, when we avin still had wings. There have been many theories as to what caused the Nigidesh, often contradicting one another. What is regarding as fact is that everything from the old continent, such as our home, our past and even our flight, was all lost when the storm broke out. Several avin historians place the downpur of the Nigidesh as the beginning of our history, as any history we may have had before may as well never existed at all.